Once we receive your information one of our recruiters will contact you to discuss assignments that fit your qualifications. Please include any certifications, licensures, work history with locations, start and stop dates and whether it was a travel assignment, contract, per diem, permanent and also your education background. Traveling gives you the opportunity to build your clinical skills while working in the best facilities in some of the most exciting locations. Maximize your earnings and receive top salaries in the healthcare industry by continuing education for relevant certifications for your specialty. By doing so you’ll expand your options as a travel nurse. You choose where and when you want to work. 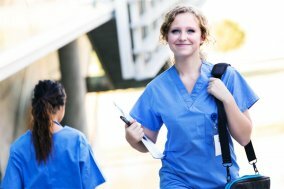 As a travel nurse you’ll have the flexibility to extend assignments when offered, consider permanent placement at the facility, choose another assignment or take a break and enjoy the surroundings.